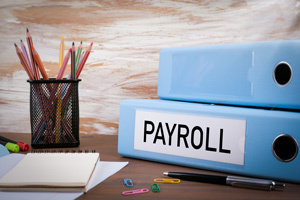 A payroll service is normally provided by a payroll provide who specialises in all aspects of calculating Gross wages, Subtract Income tax, National Insurance Contributions, Pensions, Student Loans, prepare and file all employment forms to HM Revenue and customs. Payroll Outsourcing: Many small to Medium Businesses may hire an external firm to take care of all payroll functions to save time and money, reducing the need for in-house trained payroll staff, buying and maintaining payroll software packages, and staying compliant with updated PAYE legislation. Can employer pay into personal pension for auto Enrolment? Your employer must automatically enrol you into a pension scheme and make contributions to your pension if you're eligible for automatic enrolment. If your employer doesn't have to enrol you by law, you can still join their pension scheme if you want to. KG Accountants offers a variety of payroll services to our clients, Including Weekly, Monthly and Annual payrolls, setting up and managing staff pensions. Hiring payroll providers can not only save big money but optimize your operations as well. Spend less time bean counting and more time focusing on growing your business! How Outsourced Payroll Services Can Add Value. Submit all the RTI Reports to HMRC on your behalf. Help with workplace pension and automatic enrolment. All changes in Tax legislation, sickness/absence benefits, overtime and other areas are understood, implemented and calculated correctly. Options for payslip printing and dispatch. All Tax statutory legislation is managed and you are kept fully up to date. Detailed payroll management reports are available in a range of formats. Your end of year reports are prepared in accordance with HMRC requirements and, if desired, submitted on your behalf. No need to be concerned with the application of statutory, starter/leaver calculations or collection agency (revenue/DSS) queries – we will take care of that! You can get hold of management data two hours after the payroll is processed and organise employee self-service payslips. At KG Accountants we provide a cost-effective, high value Payrollsolution to meet all of your Payroll needs. All our Payroll fees are fixed. By giving you a fixed and competitive price, we can take the worry away when it comes to running your business; allowing you to concentrate on running your organisation. Require more information about our PAyroll Service? If you would like more information or would like to ask us a question about Payroll then call us on 0207 953 8913. To ask us a question online click here.